For those diagnosed with any type of brain tumor, their lives change instantly. They must now navigate a new reality of uncertainty, doctors, and scans. But through the work of the National Brain Tumor Society, we offer HOPE for better treatments and potential cures. Only your donations and support make this possible. With your help, we've funded millions of dollars in brain tumor research grants to hundreds of researchers and clinicians at leading cancer institutions around the world to find a cure. We've driven many new groundbreaking discoveries and important public policy results, and we are ever-closer to accelerating the development of new medicines and treatments to conquer and cure brain tumors. We deeply thank you for your past generosity and hope you'll consider giving to our annual End-of-Year Fundraising Appeal again this year. Give a gift today to keep this momentum going. After five years as Chairman of our Board, Michael Nathanson's extraordinary term of leadership ended last week. Michael, who is living with a brain tumor himself, leaves the Board with a great legacy of accomplishment and love for the brain tumor community and for our organization. 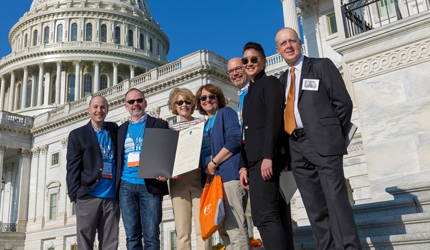 This annual event has become a powerful vehicle to ensure the voice of the brain tumor community is being heard on Capitol Hill. Your participation in Head to the Hill will help policymakers better understand the critical and urgent needs of this community and the policies that are vital to ensuring availability of treatments, increased scientific research, and the discovery of a cure. Learn more about Head to the Hill. Over 700 members of our southwest brain tumor community wrapped up the 2018 calendar year with the most GLORIOUS Phoenix Brain Tumor Walk to date. 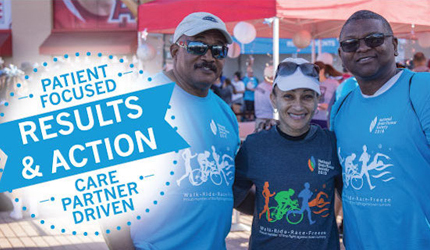 On December 8, teams and walkers came out to Steele Indian School Park and raised awareness a record $100k to advance research, public policy, and treatments to cure brain tumors! The FDA has granted approval to a precision medicine for cancer that was designed and developed specifically to target a genetic mutation in patients, regardless of the type of cancer and the body site where the tumor arose. The treatment is approved for all patients with advanced solid tumors that harbor a type of mutation known as an "NTRK gene-fusion." At 14, Jeffrey Himelson's father, Gary, passed away from glioblastoma. At the time Jeff started Shovel for the Cure, inspiring classmates to shovel each winter and donate the proceeds to NBTS. Now a Corporate Associate at an international law firm in NY, Jeffrey was inspired again by the passing of Senator John McCain to start a No Shave November fundraiser with family, friends, and coworkers. Learn about No Shave November. National Brain Tumor Society unrelentingly invests in, mobilizes, and unites our community to discover a cure, deliver effective treatments, and advocate for patients and care partners. Our vision is to conquer and cure brain tumors – once and for all.